Grassroots efforts helped create Fairmount Park and volunteers preserve the park’s history while keeping it beautiful and accessible. Editor’s Note: In Past Times of Philly, Summer Beckley profiles a different building or institution every other week and explores its historical relevance. COLIN KERRIGAN TTN Philadelphia’s park system runs throughout the city. Columnist Summer Beckley shares the history behind the park’s size and allure and how to become a part of the preservation. Volunteers at Fairmount Park this year are working toward keeping the city’s history alive and thriving. Picture it: joggers along Kelly Drive, rowers down the Schuylkill River, kids playing baseball in Cobbs Creek Park. All of them are enjoying the beauty of Fairmount Park, which might not exist without the help of volunteers. Jason Mifflin, a volunteer coordinator for Fairmount Park, said volunteerism is vital, and local students are welcome to help. This citywide park system of Philadelphia encompasses 9,200 acres, including Washington Square, Wissahickon Valley Park, the Benjamin Franklin Parkway and more. A defining feature of Philadelphia, Fairmount Park has a long history of contributing to the city’s beauty, dating all the way back to the 1790s. At the turn of the 19th century, the yellow fever epidemic were sweeping through Philadelphia, prompting City Council to create the Fairmount Water Works in 1815 to provide safe drinking water to Philadelphians. The Industrial Revolution followed, and Philadelphians became worried about pollution and its effect on their water quality. 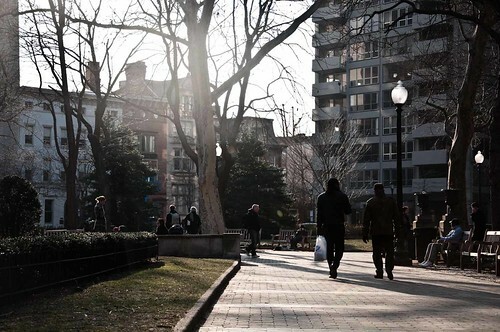 Various legislative movements resulted in the Consolidation Act of 1854, which designated open public space within the city and made possible the park’s spacious size. The Fairmount Park system continued to grow, with the acquisition of estates and property in the surrounding area. Many historic houses were preserved and are now important markers of Fairmount Park and popular tourist stops. In 1855, more than 2,000 Philadelphians signed a petition urging the city to purchase Henry Pratt’s Lemon Hill estate – land originally owned by Robert Morris, a signer of the Declaration of Independence. The city bought the estate and dedicated it as a public park in 1855, and Fairmount Park was born. After the Civil War, it seems Philadelphia leaders began to recognize the importance of open spaces to provide city residents with a break from street grids, but the park continued to be benefited by grassroots movements. Private citizens raised $60,000 to contribute to the purchase of the Sedgley Estate, a significant piece of land along the Schuylkill River. In 1867 and 1868, Acts of Assembly were passed, which initiated the current park layout along the Schuylkill and created the Fairmount Park Commission. During this time, the city employed many laborers to clear and develop the present-day stretch of land from the Philadelphia Museum of Art to Boathouse Row. A landmark moment in the park’s history was the Centennial Exposition, held in 1876. As the park’s Web site declares, this event “cemented once and for all Philadelphia’s pride in the park” and led to the completion of 34 structures, including the Memorial Hall, Philadelphia’s first of many art museums. Later, it was used by the Fairmount Park Commission and in 2007, became home to the Please Touch Museum. This continual changing of roles has marked Fairmount Park. When the Fairmount Water Works ceased operation in 1909, the reservoir site was transformed into what is now one of Philadelphia’s best-known landmarks, the Philadelphia Museum of Art. A symbol of grassroots citizen involvement, diversity and appreciation for nature, this Philadelphia attraction exists, in part, thanks to the role of volunteers. From advocacy to clean up, planting trees to assisting in special events, there are countless ways for people to play a role in keeping Fairmount Park beautiful. Summer Beckley can be reached at summer.beckley@temple.edu. A former home to the civil rights movement is now in a state of disrepair.